Hooray, my new business cards have arrived! 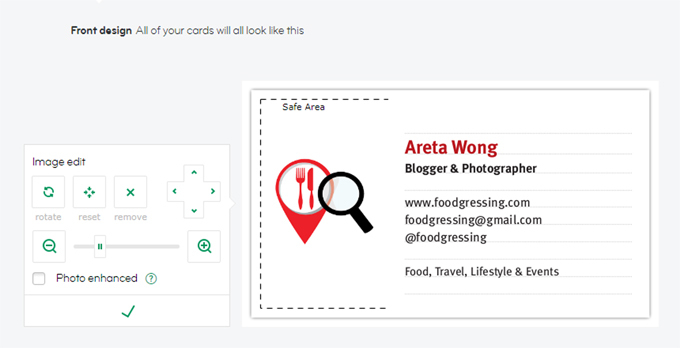 Today, I just wanted to share a quick review on using MOO.com as a business card printing service. This is the second time that I have used MOO for my business card needs and I have been very happy with the ease of the process and the quality of the cards. MOO has had a reputation of being *the* go-to service for business cards albeit at a premium compared to competitors. 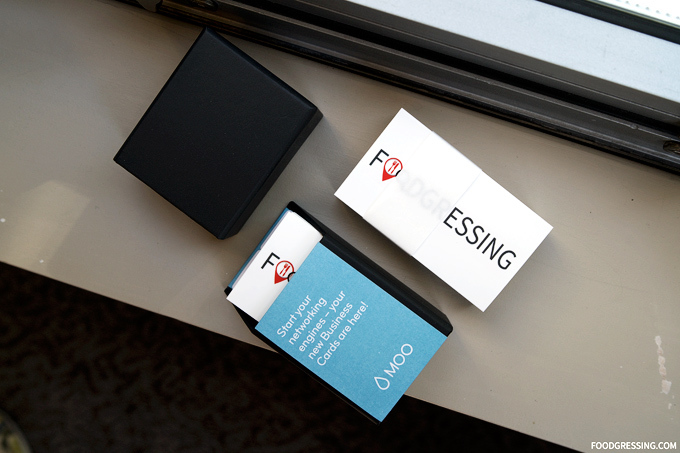 MOO products are produced and shipped from the US; it’s too bad that we don’t have a local business card printing service of similar calibre. I personally know a few other bloggers who have been happy customers of MOO and there have been instances where people have recognized my business card as a MOO product. The design process was pretty easy with MOO’s design editor. I uploaded my own logo to MOO and had a simple, clean design for my business card. I went with a Standard Size Gloss. In terms of cost, my package of 200 business cards cost $75 CDN. 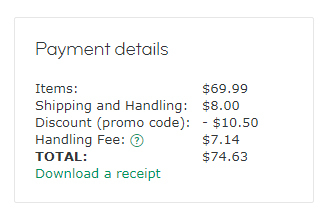 There is a shipping and handling fee ($8) as well as a handling fee for customs ($7.14). I managed to get a promo code for 15% off my order. In the end, each card cost $0.37 CDN. The business cards were shipped from Lincoln, Rhode Island and arrived at my home in Vancouver, BC Canada in 10 days. I loved the whimsical messaging on the packaging: “My goodness, you’re gorgeous! (We’re talking to your cards. But ok, you are too! 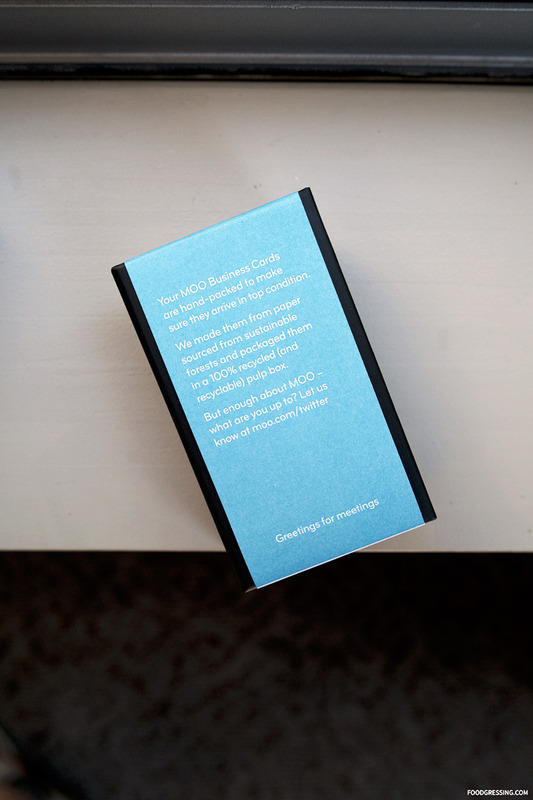 )” The cards came nicely packaged in a 100% recyclable pulp box along with a card carrier. Overall, I’ve ordered from MOO twice and would highly recommend their service. I plan to reorder from them in the future when I’ve distributed all my business cards. 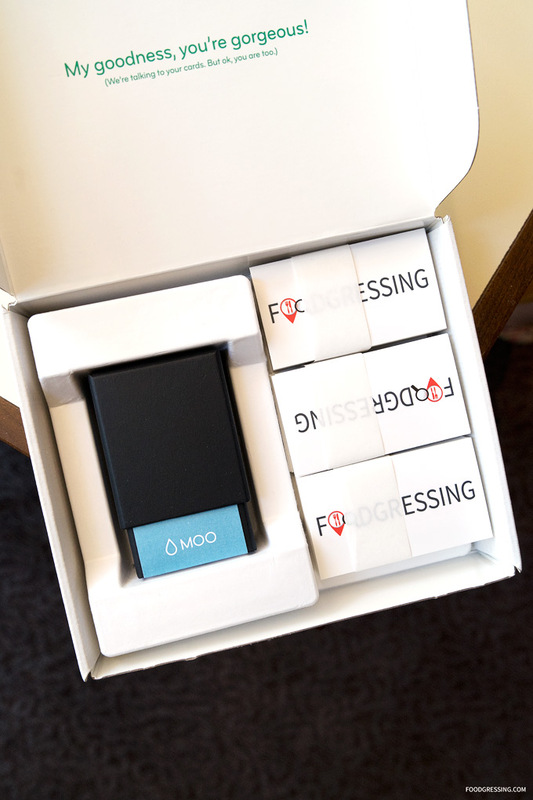 If you haven’t tried MOO before, you’ll love it! Want to get 20% off your first order? Use my referral code here.